The UBM TechWeb Game Network, organizers of the yearly Independent Games Festival and Independent Games Summit has announced that scene notable Brandon Boyer has been named Chairman of the IGF, as it continues to expand its role in evangelizing and rewarding the best indie games. In his new role, Boyer will oversee submission and judging operations, provide community outreach and support, and help shape the structure and continued growth of the IGF -- the longest-running and largest event relating to independent games worldwide. This follows the event's all-time record 607 game submissions in 2010 across the IGF Main Competition, Student Showcase and IGF Mobile competitions, including high-profile titles like Monaco, Limbo and Super Meat Boy. The 2010 Independent Games Festival saw thousands of visitors to its Pavilion [picture gallery] and more than 3,000 attend the IGF Awards Show [picture gallery] in March 2010. The associated Independent Games Summit [picture gallery] had nearly 1,000 attendees for its 2010 keynote session on the Indie Fund. Both events are part of the larger Game Developers Conference, which is returning to San Francisco's Moscone Convention Center Monday, February 28 to Friday, March 4, 2011. 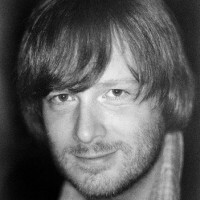 Boyer has previously co-founded and served as editor of Offworld.com, an independent-game-focused site operated by seminal weblog Boing Boing, where he currently serves as contributing editor. Boyer has also served as judge for the IGF since 2007, and was previously an advisor at multiple Independent Games Summit events. 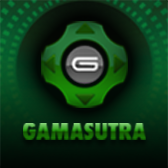 He has also contributed to various games publications including Gamasutra.com and Edge Magazine, and brings a wealth of knowledge on the independent games scene to the position. Boyer is taking over the role from former Chairman Simon Carless, who is now Global Brand Director for the entire UBM TechWeb Game Network, including the GDC shows, Gamasutra, Game Developer magazine, and new acquisition Game Advertising Online. 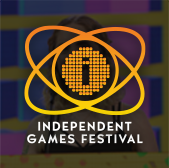 Carless will continue to contribute to the IGF as Chairman Emeritus, and as part of a Festival/Summit organizing committee that includes Boyer, Carless, and vital continuing IGF contributors Matthew Wegner (Flashbang Studios) and Steve Swink (Enemy Airship). "The Independent Games Festival has consistently been my highlight of the Game Developers Conference for as many years as I have been attending," said Boyer. "I'm extremely honored to help shape the future of the festival and bring ever-wider attention to the indie games community, a group that is truly defining the future of video games as an artistic medium." The Independent Games Festival was established in 1998 by UBM TechWeb Game Network to encourage innovation in game development and to recognize the best independent game developers. 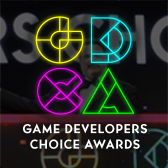 Previous honorees have included many of the pioneering independent games of the last decade, including World of Goo, Gish, Everyday Shooter, Crayon Physics, Braid, Castle Crashers, and Audiosurf. Specifics on 2011's competition details and deadlines are expected to be announced in the next few weeks - for more information on the Festival, please visit the official IGF website.